The draw for the Semi-Final of this season's Birmingham FA Senior Cup has taken place. Either Walsall, or their Quarter-Final opponents Nuneaton Town, who they will take on at Liberty Way on Tuesday, 6th March, will travel to Keys Park later this season. 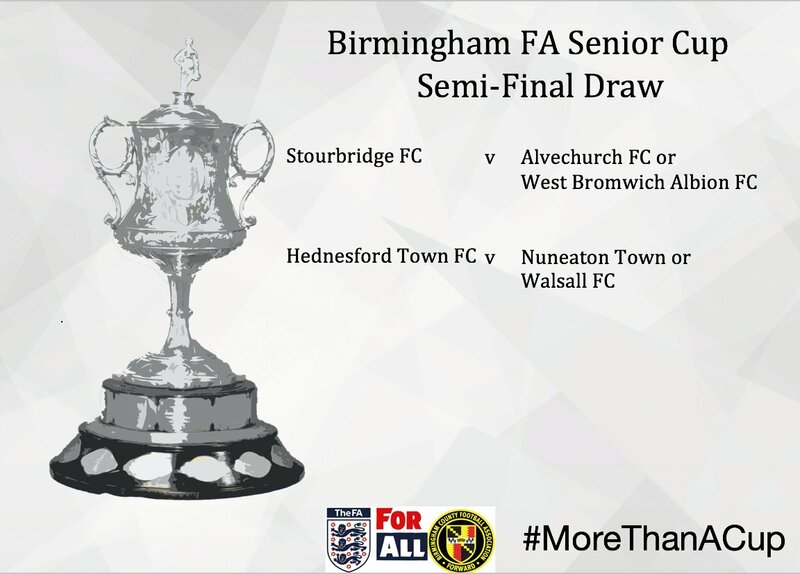 The other half of the draw sees Stourbridge, who have already booked their spot in the Semi-Final, take on either Alvechurch or West Bromwich Albion, who are yet to play their Quarter-Final tie. We will have details of the fixture schedule as soon as it is confirmed.